The Cubs couldn’t quite pull off the sweep of the Cardinals last night losing 4-3 in 11 innings. It’s nice to take 2 of 3 games in a series from your rival but it’s surely less satisfying when you’re 10 games behind them and sitting fourth in the division as August approaches. Yesterday did have a Cubs silver lining as ‘The Hawk’ Andre Dawson was inducted into the Baseball Hall of Fame. One of the funny parts of Dawson’s acceptance speech was when he kidded former teammate Ryne Sandberg about not knowing Sandberg “could speak” until he saw Ryne’s HOF induction speech five years ago. The Hawk also gave nice shout-outs to Cubs Hall of Famers Ernie Banks, Billy Williams and Fergie Jenkins as well as Cubs fans and the City of Chicago. You can watch it here. The photo is from Spring Training March 9, 1987 at the press conference after Dawson signed with the Cubs. 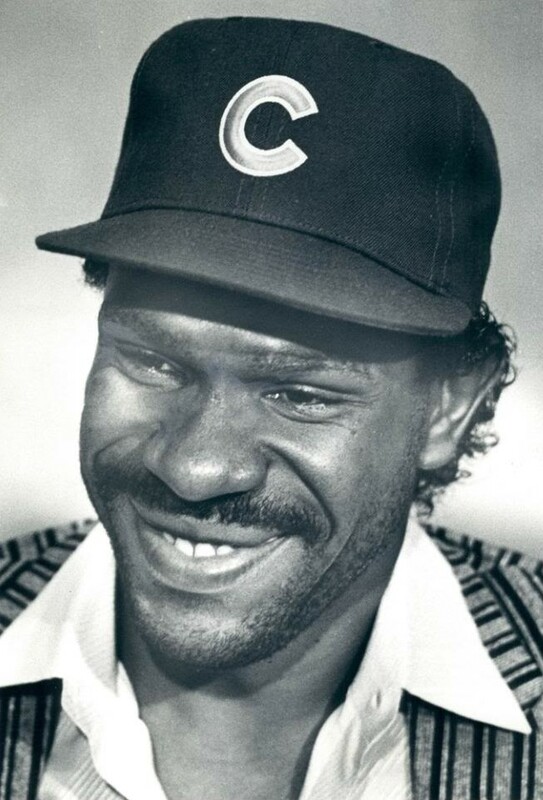 It was taken by outstanding Chicago Tribune Photographer Phil Velasquez and captures Dawson’s emotions at the time…I think most Cubs fans had the same grin when Hawk signed. After playing 10 years with the Montreal Expos the Cubs were Dawson’s team of choice and he signed for a lot less money than he could have gotten somewhere else. It obviously worked out well. Not sure where the Cubs season is headed from here, however it appears that Theodore Roosevelt Lilly and possibly some others may be gone soon. Unfortunately for the Cubs many of the players they would like to move are not exactly the type teams are looking for (high salary, age, sub-par seasons etc. )…We shall see. There are a few fan videos on the net of Bryant's HR, but I think you'll get a good feel from this video I shot and edited.